Scott Miller and Zoe Halliday tell of pride at starring in Armadillo stage spectacular. 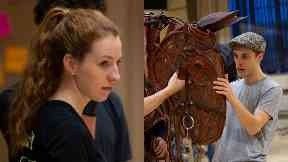 Scots actors have told of their pride at landing key roles in stage spectacular War Horse as it gallops onto home soil. The National Theatre's tour of War Horse has arrived at the SEC Armadillo in Glasgow, with two Scots amongst the 34-strong cast. Glaswegian Scott Miller plays the central role of Albert - a boy who forms a strong bond with his horse, Joey, before war wreaks havoc on their lives. Fresh from graduating from the London Academy of Music and Dramatic Art, Scott was overjoyed to land the part. "It's one of those things that when you're auditioning for, you never think you will get it," he said. "Then you get further on and go 'oh my god, I might actually get it' and now that I'm here I can't quite believe it." The production is in Glasgow for the first time, and opened to audiences earlier this week. Scott said: "It's pretty huge. There are so many puppets and big theatrical moments that happen and I think the audience are going to be shocked by it." As well as the story of love, loyalty and friendship, one thing that has earned War Horse numerous awards and accolades around the globe is its puppets. 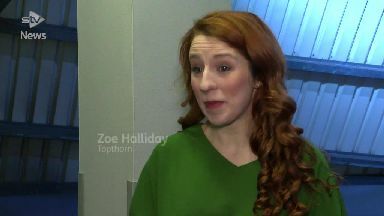 Scottish actress Zoe Halliday is one of the puppeteers masterfully moving the horses on stage. She said: "I am one of the puppeteers for the horse Topthorn, who, in the story, is the alpha horse. "So there's the hind puppeteer, the heart puppeteer and the head puppeteer and I'm at the back. "It's worldwide known so a little bit of me is giving it 'wow, this is very exciting and terrifying', but at the same time it's so humbling and I feel privileged to be part of such a production." Both actors are looking forward to having their family and friends come to see them in their hometown. Scott said: "It's one of those jobs that you don't expect to open in your home town so I'm getting my family along and my grandparents and that, and I'm quite looking forward to it."